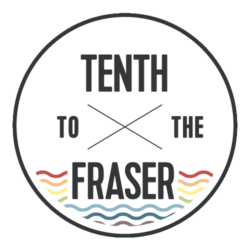 Did you know that New Westminster hosts an annual documentary film festival? 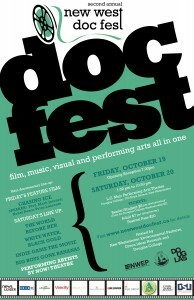 The second annual New West DocFest is coming up this weekend, October 19 & 20, at Douglas College’s Laura C. Muir Theatre. The festival opens on Friday evening with a presentation by guest speaker Mark Jaccard, a professor at SFU, followed by the screening of Chasing Ice. This year’s films cover a range of topics including the environment (Chasing Ice and White Water Black Gold), women in India (The World Before Her), the video game industry (Indie Game the Movie), and the power of corporations (Big Boys Gone Bananas). In addition to the program of critically acclaimed documentaries, the festival also incorporates music, theatre and art. Short theatrical performances throughout the festival will be presented by Act Now, a youth theatre group focused on sustainability. Admission is just $7 per film ($5 for students and seniors). For more information, visit www.newwestdocfest.ca. Another great post Briana!! Have you and Jen considered putting your names forward for the new district media person? What a great addition to the senior management team the two of you would be. The city is so blessed to have the two if you. Any review of thoughts on the festival? Lots or posters around town, looked to be very well publicized.